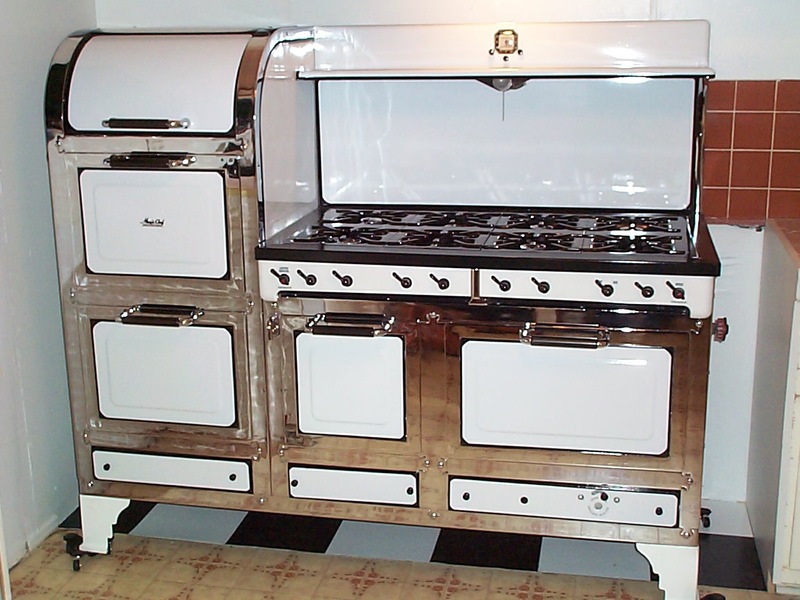 The Antique and Vintage Stove Shop, located In Ventura, Ca., specializes in the sales, service and restoration of classic American gas cooking stoves. Our antique & vintage stoves, ranging from the 1920’s to the 1960’s, are meticulously restored from the frame up. We have restored hundreds of stoves to their original former glory. Brands include O’Keefe & Merritt, Wedgewood, Gaffer’s & Sattler, Chambers, Magic Chef, Western Holly, Reliable, Wolf, Clark Jewel, Detroit Jewel and more. And whether your purchase is a diamond-in-the-rough, family heirloom, or mid-century classic, you can be assured we restore each stove to the highest standard’s to be found anywhere. We take great pride in continuing the tradition of fine American craftsmanship. And if you just want to spiff up your existing stove a bit–cooktop, grates, burner heads, oven racks or whatever–we offer expert re-chroming and re-porcelaining. We also have a an extensive collection of part’s available, including restored knobs, handles, thermostats, safeties, switches, racks, grates and clocks. Whatever your repair need, it is quite likely we can handle it. We crate and freight at great rates nationwide. Thank you for checking us out. And we look forward to serving your needs and making your stove dreams come true. Your satisfaction is what keeps us in business and is our # 1 priority!